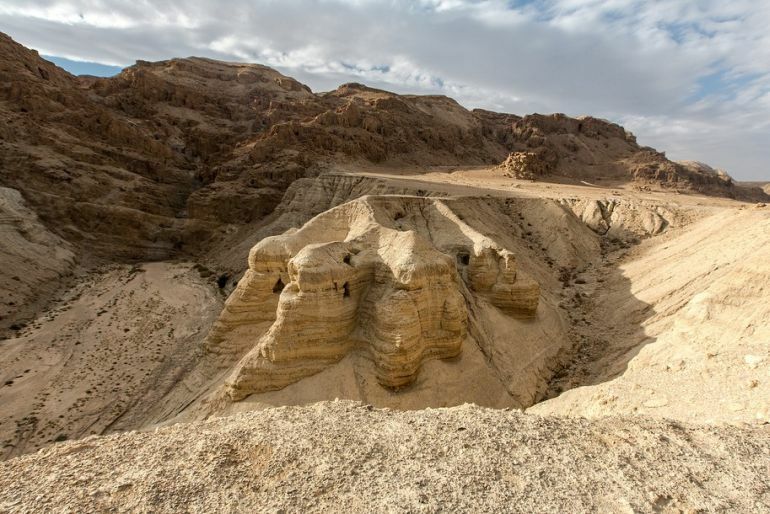 Scholars have come one step closer to deciphering almost all of the Dead Sea Scrolls (also known as the Qumran Caves Scrolls), comprising multiple thousands of written fragments dating from circa 3rd century BC to 1st century AD. To that end, experts have painstakingly cracked the Hebrew code of one of the last undeciphered specimens, originally discovered in the Qumran Caves near the Dead Sea. The surviving part of this particular scroll revealed a section of a 364-day calendar of holy days, ranging from Sabbaths, starting days of seasons to the days of feasts. Most of the Qumran Scrolls discovered in the 1940s and 1950s have long since been restored and published. The tiny remaining fragments, some smaller than one square centimeter, that remain undeciphered include some 60 sections written in code on parchment. An earlier researcher who examined these sections claimed that they came from several different scrolls. 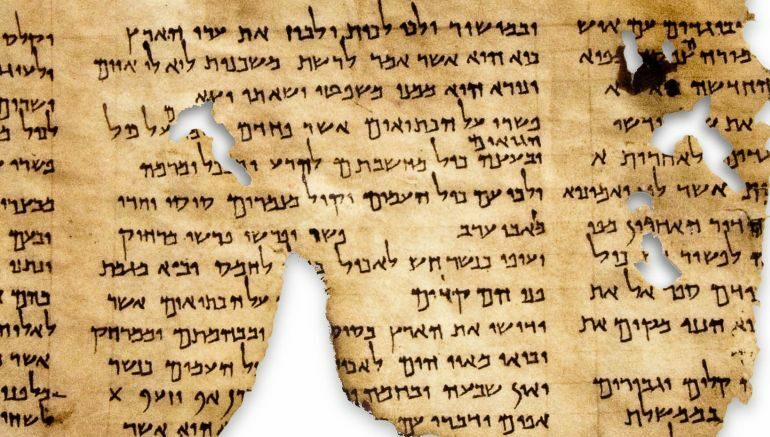 However, in an article published in the Journal of Biblical Literature based on a study funded by the Israel Science Foundation, Dr. Ratson and Prof. Ben-Dov show that the fragments actually constitute a single scroll. The researchers are now turning their attention to the last remaining scroll that has yet to be deciphered. In terms of history, this ancient calendar rather mirrors the lifestyle of the mysterious desert dwellers who authored most of the Dead Sea Scrolls. The members of this Qumran sect called themselves the Yahad (translated to ‘Together’) – often equated to the Essenes (a sect of Second Temple Judaism), and lived a hermetic lifestyle that entailed the (perceived) preciseness of Jewish practices. In that regard, the calendar comprising 364 days, could be divided into four and seven, while making sure the special days fell on the same dates every year. By contrast, the conventional lunar calendar of Judaism tends to be over-dependent on the observation of stars and the moon, along with their interpretation by individuals. As noted, the present scroll details the most important dates in the sect’s calendar. The scroll describes two special occasions not mentioned in the Bible, but which are already known from the Temple Scroll of Qumran: the festivals of New Wine and New Oil. These dates constituted an extension of the festival of Shavuot as we know it today, which celebrates the New Wheat. According to this calendar, the festival of New Wheat falls 50 days after the first Sabbath following Passover; the festival of New Wine comes 50 days later; and after a further interval of 50 days, the festival of New Oil is celebrated. Nevertheless, the scroll also provides some surprises. The researchers were aware from the previous scrolls that the members of the sect celebrated the transition between the seasons, adding a special day for each of the four changes of season. Until now, however, the name of these special days has remained unknown. The present scroll reveals that these days were referred to by the word Tekufah. In today’s Hebrew, Tekufah translates into the word “period”. “This term is familiar from the later Rabbinical literature and from mosaics dating to the Talmudic period, and we could have assumed that it would also be used with this meaning in the scrolls, but this is the first time it has been revealed,” Dr. Ratson and Prof. Ben-Dov explain. The general aim of encryption in Qumran is not entirely clear. It generally seems that encryption was a means of conveying prestige to the initiated but not a means of 100-percent security or preventing comprehension by other community members. The study and its findings were originally published in the Journal of Biblical Literature.